Miami Beach, Florida is a well known vacation getaway. Miami Beach offers white sandy beaches, crystal clear blue waters, fine dining, and exclusive day spas. Miami beach day spas, places individuals in the mood to enjoy all the festivities and excitement that Miami beach has to offer. Nirvana Spa is one of Miami Beach’s finest spas. This unique spa facility includes massages, aromatherapy treatments and steam rooms, yoga, saunas, and a gym to work out. In addition, Nirvana offers their guest a full service beauty salon, a tanning bed, an oxygen chamber, full access to the beach and swimming pool, and a rejuvenation clinic. This day spa has several spa packages and special offers available for their guest, including complimentary deals. Nirvana not only relaxes your body, but rejuvenates your mind. Uhma Spa is a chic urban sanctuary that uses only natural and organic products. Their awesome team of therapists customizes each treatment to the individual needs of their guest. Uhma offers healing massages, eye rejuvenation, relaxing deep cleansing facials, detox, body scrubs, and a variety of water therapy treatments. Uhma has several spa packages to choose from for exceptionally reasonable prices. And, for the convenience of their guests, all of this relaxation can be booked immediately online. Another fabulous spa located in Miami Beach is IGM. IGM Day Spa offers their guest a cozy, friendly, and peaceful atmosphere. Guests can relax and enjoy revitalizing spa treatments at a reasonable cost. These treatments consist of therapeutic massages such as Swedish, deep tissue, Shiatsu, neuropathy, gentle prenatal treatments and laser hair removal. Also, IGM extends a variety of customized facials that are designed for each individual’s skin type. This spa has several combination package deals available to pamper the needs of every guest. Most of these great deals consist of a spa manicure and pedicure, or shampoo and haircut, combined with an amazing spa treatment. ESPA is a luxurious elite day spa located at Acqualina Resort and Spa on the Beach. The guest of ESPA begins their experience with unwinding in the relaxation lounge, and enjoying prepared refreshments such as spa teas and exotic fruits. 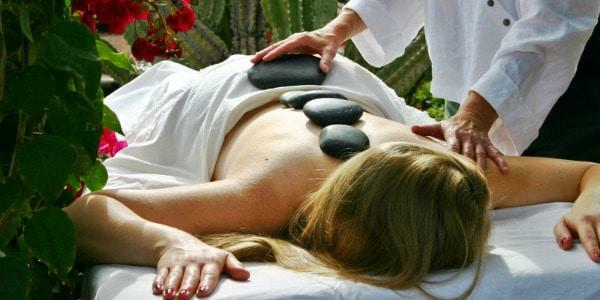 Then they enjoy one of many fulfilling spa treatments, including a Swedish or deep-tissue massage, hot stone therapy, reflexology, body wraps, salt and oil scrubs, and intensive facials. ESPA offers hours of relaxation for all of their guests to enjoy. Massage by Design is a serene day spa located in Miami Beach. Their mission is to ensure their guests a comfortable, peaceful, and enjoyable spa experience. This spa provides their clients with high quality treatments to relax the body, mind and spirit. These treatments are comprised of Swedish and deep tissue massages, aromatherapy, neuromuscular therapy, acupuncture, lymphatic drainage, post and prenatal massages, deep pore facial cleansing, and many more exciting beauty treatments. Massage by Design has great specials available, and awesome group rates. Miami Beach is one of the top vacation spots in the nation. The sun beaming down on your skin and the scent of the fresh water filling the air sets a relaxing atmosphere. However, the soothing, calm, refreshing nurturing of a day spa, just seems to seal the deal. These spas cater to the needs of every individual. Their highly trained professionals seek to make every individual experience personal, memorable and enjoyable.